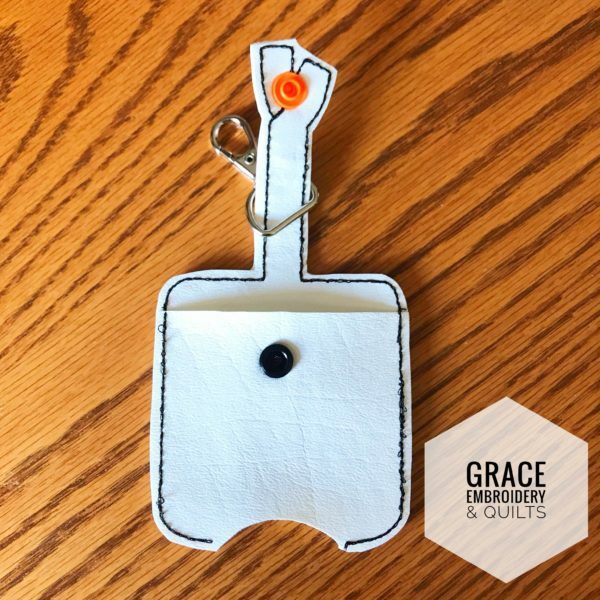 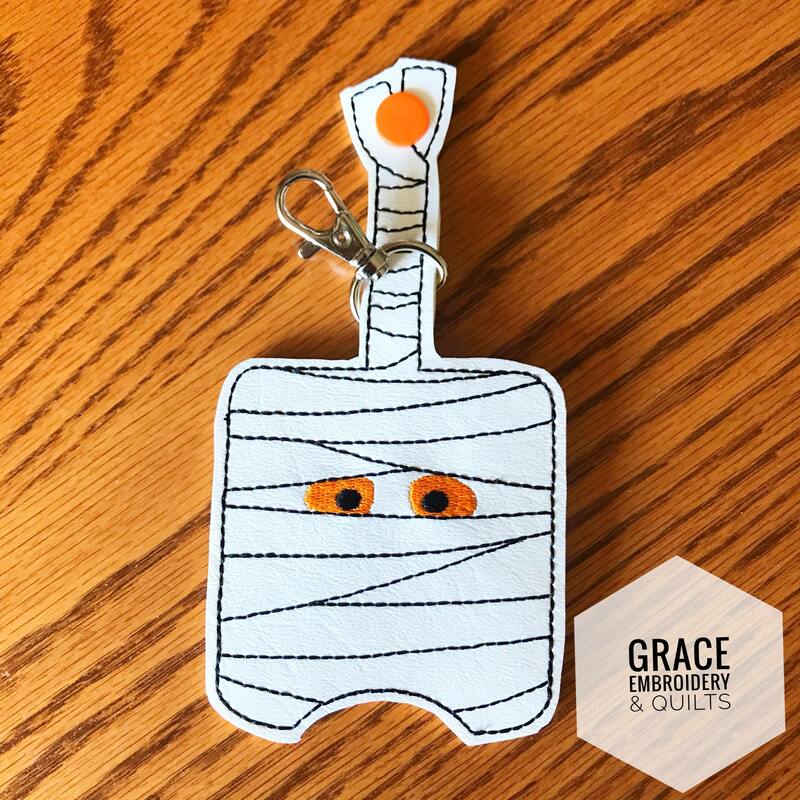 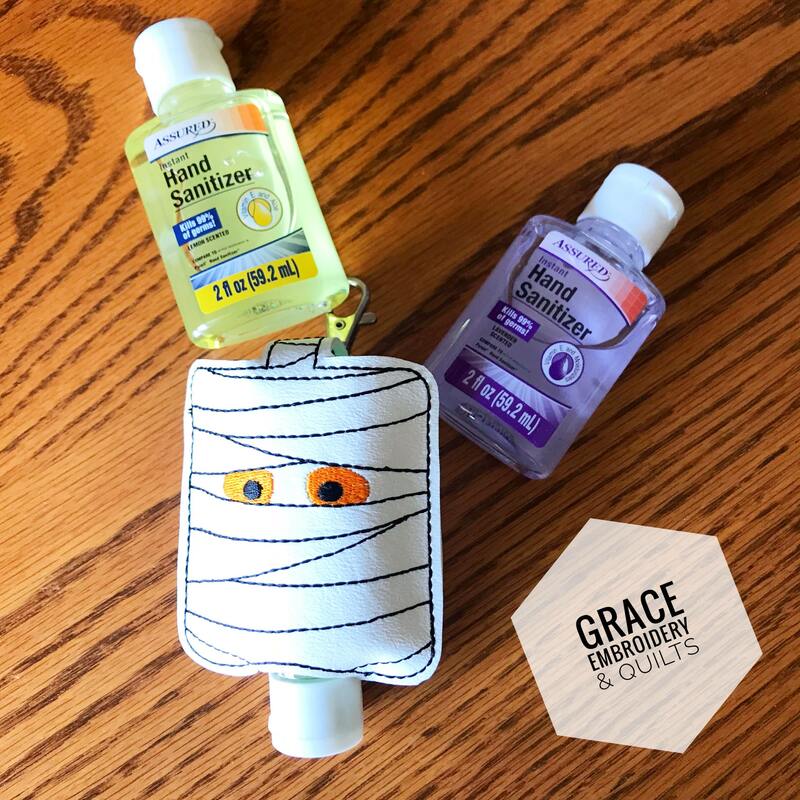 Cute mummy holder designed to keep your hand sanitizer right at hand. Vinyl case has a lobster claw key chain that will clip anywhere you need it to stay and will wipe clean easily. 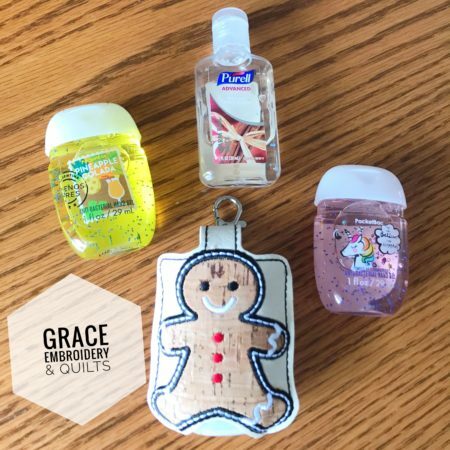 One 2 oz bottle of hand sanitizer (scent will vary) will ship with the case. 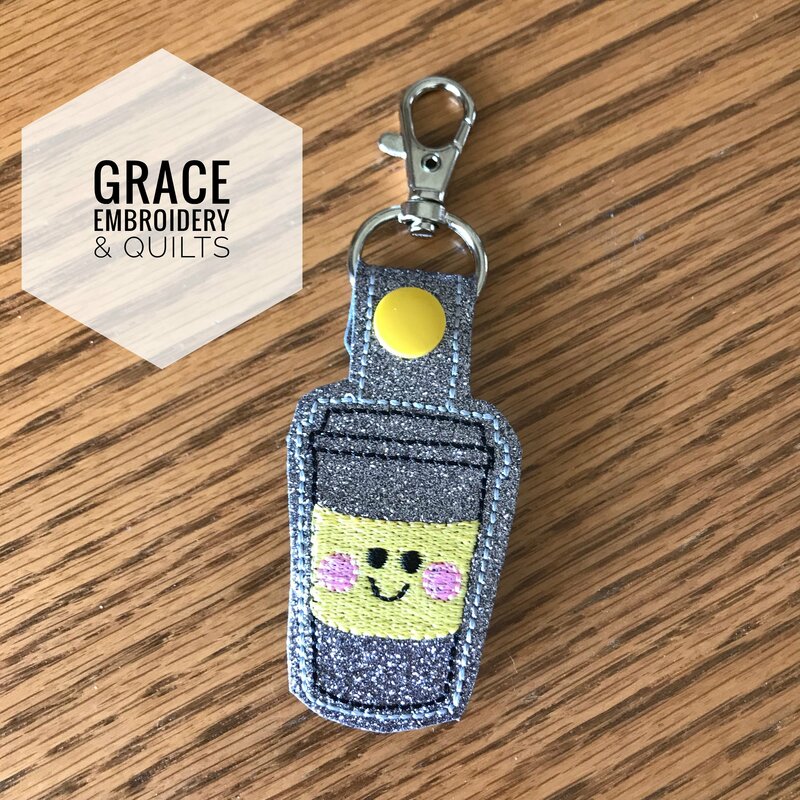 Any 2 oz bottle will fit!